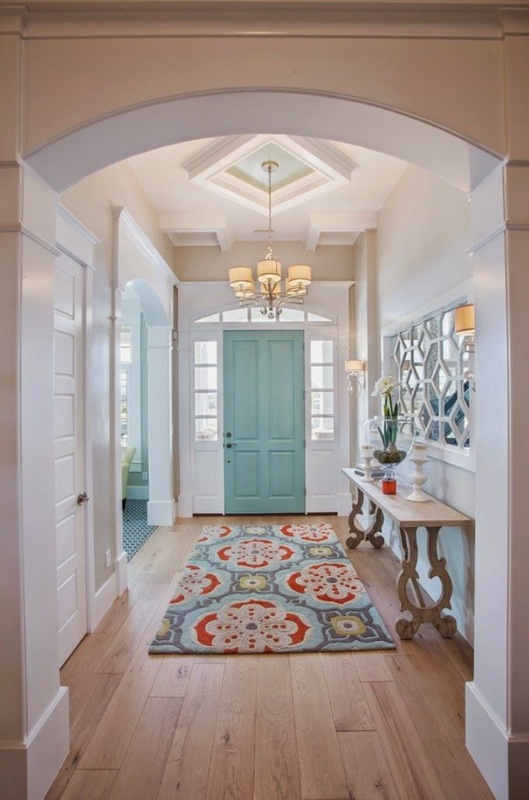 If you find yourself constantly cleaning up the entry way or foyer area of your home - it's easy to get frustrated with the constant clutter that seems to gather there. 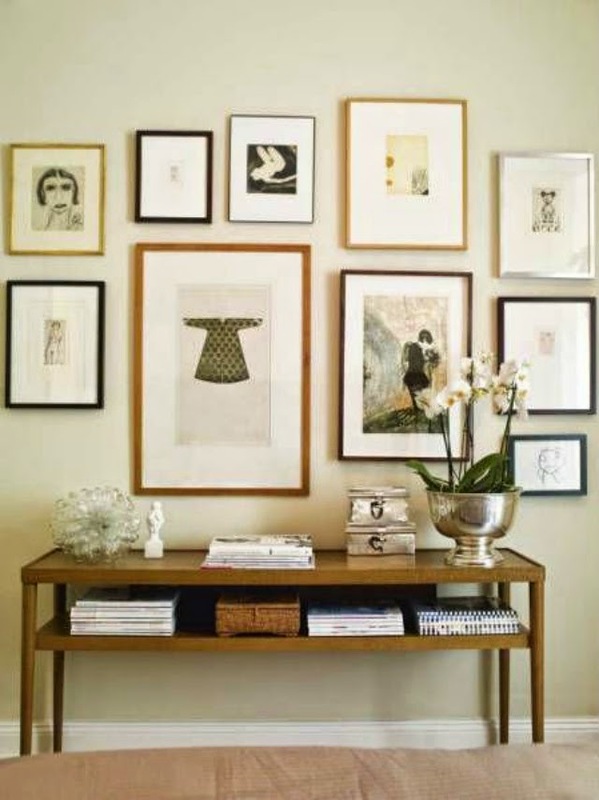 Whether it's kicked off shoes, jackets lying here and there, or keys constantly being lost in the mix - you can get your entry way organized and give your family easy ways to keep their belongings neat and organized. By making it easy for everyone, even kids, to put their things where they belong - it will cut down on the amount of work you'll have to do once everyone makes it home for the evening. o If you don't have a coat rack or hooks for coats, light jackets, and hoodies - installing one will prevent kids from coming in and throwing their outerwear onto the couch or bench. Putting hooks close enough to the door that you don't have to go out of your way to access them is going to be key. If you'd prefer not to have an open area with jackets and coats hanging, consider going for a small armoire. 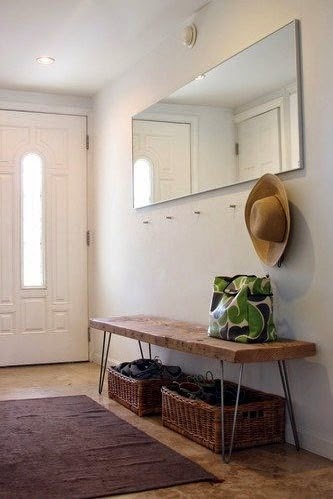 You can shut the door and hide the clutter, just be sure that your entry way allows enough space for something like this to be installed. o Allow kids (and spouses) to only keep one pair of shoes by the door. Keeping shoes close to the exit is definitely something convenient, but things become cluttered and messy looking when multiple pairs start accumulating. If you have the space, you can install a small shoe rack a bit farther from the door, but still on the entry level, that will allow other frequently worn pairs of shoes to stay within easy reach. If you don't have the space for that, limiting one pair of shoes to the entry way will help keep the clutter to a minimum and keep your most worn pairs in easy reach. o Having a key hook next to the door is a great idea. With only about 6 inches needed, you can store multiple sets of keys and have a convenient location to hang them as soon as you walk in the door. Instead of tossing them on the coffee table or shoving them into a coat pocket to be forgotten when you need them - you'll always know where your keys are at all time. Never again will you waste fifteen minutes of your day checking all of the possible locations. o Having a welcome mat just outside of the door is a good precautionary step to take, but if you have kids - having a thin "drop off" mat for dirty or muddy shoes will help prevent the muck from being tracked through the house. Before they even have a chance to step on the carpet or hard wood, the shoes are safely deposited onto the mat. By choosing a mat that is easily washable or scrubbable, you won't have to worry about taking it somewhere special to be cleaned. o Finally, stick to your rules. If you're going to have a "one pair of shoes" law at the door, don't watch the pairs accumulate. By sticking to your guns and going through with your original organization plans, you'll help kids (and spouses) see how much nicer the home can look when you put a little bit of effort and planning into things. Responsibility is something that can easily be instilled in family members through a plan like this. Not only will you and your family benefit from it, but your home will, too.